A coordinated statewide multi-agency crackdown in NSW on illegal dumping and waste transportation has disrupted the criminal waste trade. For the first time, the states five Regional Illegal Dumping (RID) Squads and Programs led a multi-agency unannounced roadside operation to crackdown on illegal operators. The operation brought together the NSW Environment Protection Authority (EPA), NSW Roads and Maritime Services (RMS), the NSW Police and local councils. During the November 2018 operation, waste transport vehicles were intercepted and checked for waste transport and disposal compliance, as well as vehicle and road safety compliance. 130 RMS defect notices and 31 NSW Police infringement notices were issued. 22 penalty notices and 16 official cautions were issued by the RID Squads, totalling $16,447. Notices and cautions were issued to waste transporters for offences including uncovered loads and allowing waste to escape onto the road. Four trucks carrying loads of waste to unlawful sites were redirected to lawful waste facilities. The disposal sites of 45 waste trucks are being inspected by the RID Squads and the EPA to check whether the waste was lawfully disposed. Follow up regulatory action will be taken where necessary. This operation aligns with other initiatives underway to tackle this scourge, including the EPA’s Waste Crime Taskforce which targets organised criminal activity and disrupts the waste dumping business model. RID Squads and Programs are regionally-based teams specialising in combating and preventing illegal dumping, co-funded by the EPA and member councils. 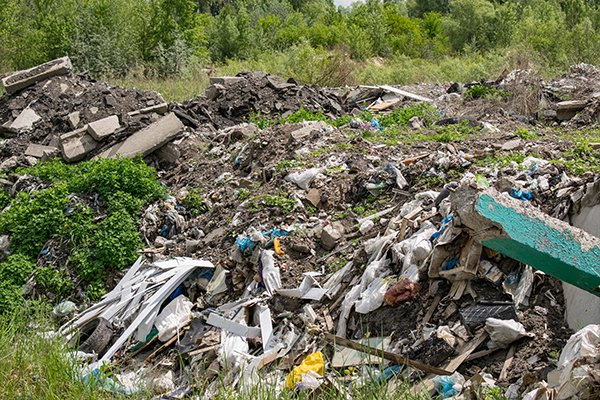 The RID Officers work for local councils, working across council boundaries using a strategic, coordinated approach to combat and prevent illegal dumping while focusing on particular issues in their region. They work across 35 local government areas. These include the Western Sydney RID Squad, Sydney RID Squad, Hunter and Central Coast RID Squad, Southern Councils Group RID Program and ACT-NSW Cross Border Program.